Arman Matevosyan is a Senior Associate of Shenon Law Group. Mr. Matevosyan’s practice focuses on business litigation at all stages from case inception, pre-trial, trial, post-judgment, and appeal. Mr. Matevosyan has extensive experience with complicated legal matters where the law is uncertain or the facts complex. He has represented businesses in cases involving allegations of breach of contract, breach of fiduciary duty, free speech and ANTI-SLAPP, wage and hour claims, sale and purchase of securities, and unfair competition. He also advises businesses on compliance with California and Federal law and regulatory bodies such as the Securities and Exchange Commission. 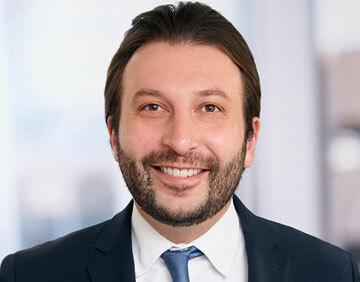 Prior to joining Shenon Law Group, Mr. Matevosyan served as lead counsel for law and motion and discovery and second chair trial counsel with a local Los Angeles firm. He tried several cases to bench judgment and jury verdict. He successfully briefed and orally argued a unanimous published reversal before the Second District Court of Appeal in Wolf Metals, Inc. v. Rand Pacific Sales, Inc., et al. 4 Cal.App.5th 698 (2016), setting new binding precedent on alter ego and successor corporation liability. Mr. Matevosyan is a native of Southern California. He received a Bachelor of Arts in History and Political Science from the University of California, Los Angeles and completed his Juris Doctor Degree at the University of California, Hastings College of the Law and University of California, Los Angeles School of Law. He served as Staff Editor for Hastings Constitutional Law Quarterly, the nation’s oldest law journal devoted exclusively to constitutional issues, with a published note Public Disclosure and Moving the World Forward: Why We Need the America Invents Act, 40 Hastings Const. L.Q. 989 (2012).